Ah most beloved purse, soon you will be mine! "Love the cameo necklace! I'm very interested to learn how much money you ended up saving during your shopping sabbatical. I am considering doing this myself, after realizing how much money I throw away on clothing and dining out. I admired your determination! You are a inspiration!" Jennifer, thanks for the kind words; I'm flattered that you think I'm an inspiration! I typically spend about $300-400 a month on clothes and accessories, so I guess over the course of 5 months that works out to $1500-2000. However, I'd peg the actual amount I saved at a number closer to $1500 since I found myself spending more time going out with friends and more money on toiletries and makeup than I did previously (approximately $200-250, I think?). Your words prompted me to reflect on the course of the last few months. I think the first few weeks were fairly easy because when I began my ban I simply felt shopped out, like I was spending frivolously and impulsively rather than buying things I needed. The months in the middle were the hardest: I was coveting cute things in stores and had to wean myself off going to malls entirely. Toward the end, I found myself actually embracing the shopping ban. 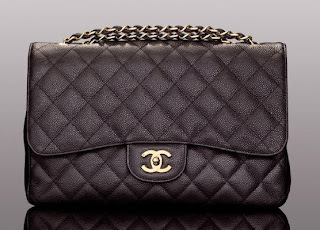 It was surprisingly easy and even satisfying to deposit a lump sum in my savings every month, knowing that the money would be better spent on a Chanel purse I'd have forever, or on my trip to London, Paris, and New York this fall, rather than a cheap top that will start falling apart after a few washes. It helps to have loopholes so you can feel proud of your progress without feeling like you're completely depriving yourself of indulgences. I still went out dancing, to movies, for dinner and drinks with friends. I bought nail polish, a new makeup case, perfume, and fashion magazines. My ban only covered clothing and accessories, so these were sneaky little escape hatches that let me have a bit of a retail high and still stick to my goal. Post-ban, I think I've become a lot more thoughtful about what I buy. On the weekend, while I was at the craft market and Banana Republic and browsing various other stores, I found myself touching fabrics and looking at merchandise with distaste. I didn't want to buy anything which looked or felt as though it would fall apart within a year. After having done without shopping for so long, I realized that I don't have to buy something right away, nor should I settle for less by buying something only marginally acceptable according to my criteria for fit, style, and quality. Instead, I can take my time thinking about how I'd use my purchase, asking questions about the materials, checking the fabric composition on the tag, and inspecting the item for shoddy stitching or defects. If I don't find what I want right away, I'll find it eventually. Always save your money for the good stuff! Ah I love that Chanel purse! Imagine my surprise when I saw my comment featured in one of your blogs! :) I am seriously considering a shopping ban on myself. I have even downloaded a program that links with my bank account and will help me track all of my purchases. It will break everything down into percentages, pie charts, everything. I'm already cutting back (save for the Nars Laguna bronzer.. but I had finished my old one and I was dying!!) and I even find myself thinking twice about something I like or want to buy. I think I will definitely try your loophole trick. It would definitely keep me from going insane. Keep up with the great work and blogs! I visit your site almost daily. wow congrats!!! i just started putting myself on a budget as well... majority of $ goes to food and clothes!